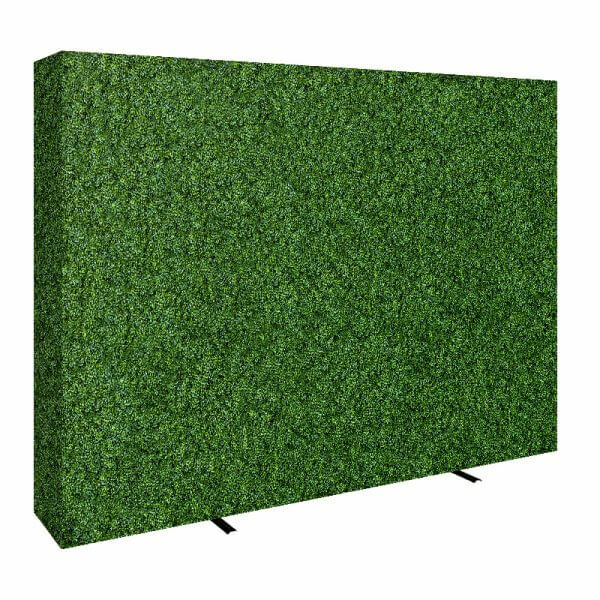 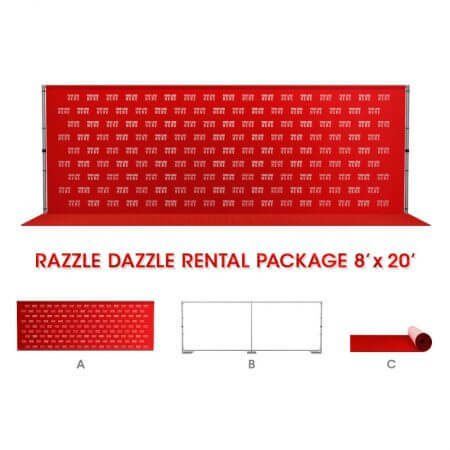 This 8′ x 5′ step and repeat fits roughly 2-4 people in front of the backdrop when taking photos. 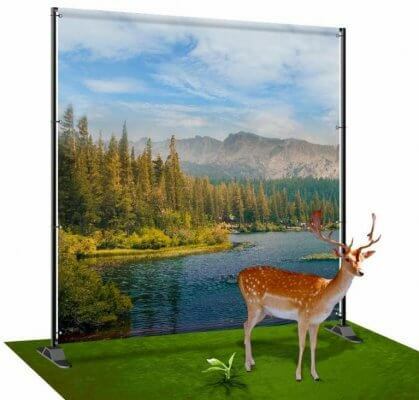 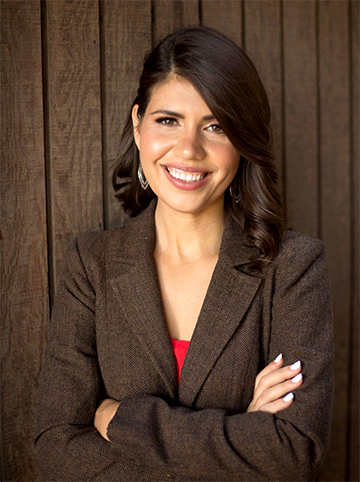 We recommend upgrading to the non-glare fabric material for a more elegant look and to avoid camera glare in photos. 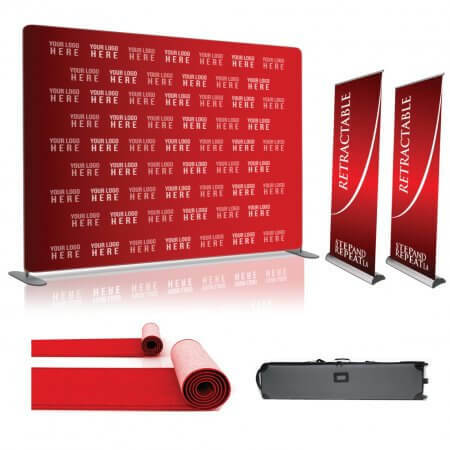 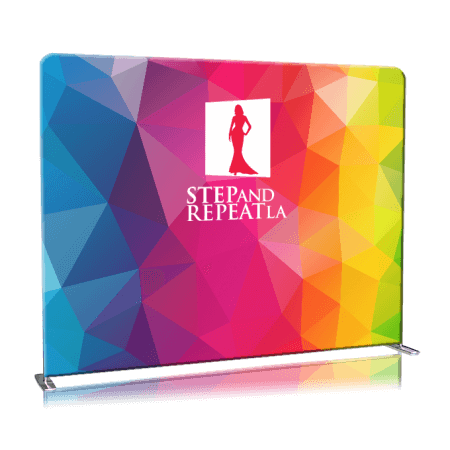 The 8′ tall x 5′ wide step and repeat is our most popular backdrop size. 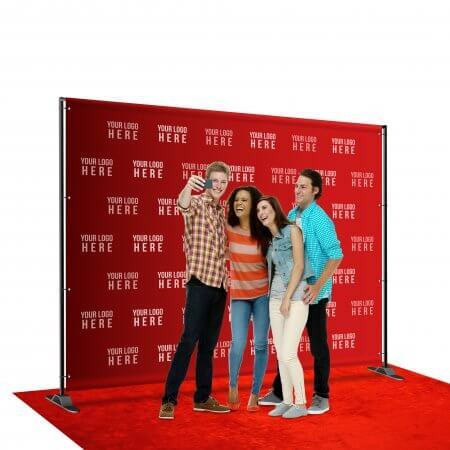 It fits about 2 people in front of the backdrop when taking photos. 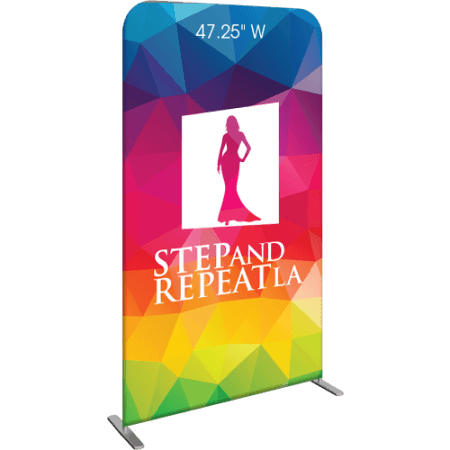 We recommend upgrading to the non-glare fabric material for a more elegant look and to avoid camera glare in photos.